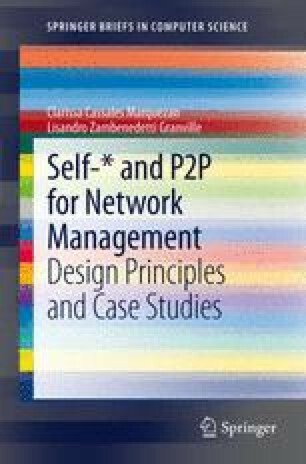 This book addresses three different areas: network management, autonomic or self-* properties, and peer-to-peer. Indeed, the key of the work developed here is the integration of those three areas. Therefore, understanding the start of the art associated with each area is of crucial importance to comprehend how their integration can be accomplished. In a first moment, this chapter presents the current research status of each area. In a second moment, current investigations are examined in order to show the relationship among those areas, i.e., autonomic computing/self-* properties and network management, peer-to-peer and network management, and, finally, all three areas together.